(Nanowerk News) The transport of particles is usually induced by applying an external gradient to a system. Water, for example, flows down a slope and electric current is generated by applying a voltage. But already in ancient times another way of generating a directional motion was known: by periodic modulation of a system, as can be seen in the famous Archimedes' screw. More than 30 years ago, the Scottish physicist David Thouless predicted that a similar phenomenon should also occur in quantum mechanical systems, so called topological pumping. 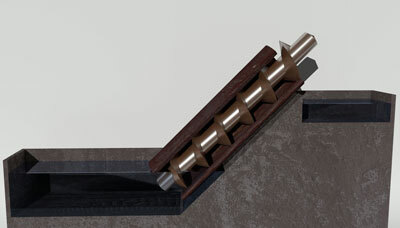 Figure 1: Archimedes screw. Continuous rotation of the screw pumps water from the lower-lying reservoir into the upper one. A group of researchers from the Ludwig-Maximilians-Universität München and the Max Planck Institute of Quantum Optics, led by Professor Immanuel Bloch and in collaboration with the theoretical physicist Oded Zilberberg (ETH Zürich), have now successfully implemented such a topological charge pump with ultracold atoms in an optical lattice for the first time ("A Thouless quantum pump with ultracold bosonic atoms in an optical superlattice"). In 1983, inspired by the recently discovered two-dimensional quantum Hall effect, for which Klaus von Klitzing was awarded the Nobel prize in physics in 1985, Thouless came up with the idea that a similar phenomenon could also be observed in one-dimensional systems if their parameters are varied periodically. This dynamic version of the quantum Hall effect enables transport of particles without an external bias. Due to its special, so called topological properties, this transport occurs in a quantized fashion so that the particles move exactly by a well-defined distance per cycle. In addition, the transport is extremely robust with respect to external perturbations and is not affected by small changes of the system. This is of particular interest from a technological point of view since it could facilitate a more precise definition of the standard for electrical current. Despite long lasting efforts, however, the realization of such a quantized charge pump has remained out of reach up to now. Ultracold atoms in optical lattices constitute an almost ideal model system for such experiments since they can be controlled and detected very well. Inside a vacuum, the atoms can be cooled to a temperature close to absolute zero and subsequently be transferred into a periodic potential that is created by the interference of multiple laser beams. A superlattice is a special kind of these optical lattices that is created by superimposing two standing waves of light with different periodicities. In the experiment in Munich, the periods of the lattices where chosen in such a way that they differ by a factor of two. This gives rise to double well potentials as shown in Fig. 2. Figure 2: Implementation of a topological charge pump in an optical superlattice. (a) An optical superlattice is created by superimposing two standing waves with different periods. Its shape can be changed by moving the long lattice (depicted in green). This induces a motion of the atoms in the lattice where they tunnel through the barriers between neighbouring lattice sites. (b) Measured position of the atom cloud for one pump cycle during which the atoms move by exactly one period of the long lattice dl. With a superlattice like this, the idea of Thouless can be realized and atoms can be transported in the lattice. In order to do this, the two standing waves are moved relative to each other by shifting the lattice with the longer period in one direction. This leads to a periodic modulation of both the depth of the lattice sites as well as the height of the barriers in between them. A classical particle would not move in this case as the position of the individual lattice sites does not change, but they only move up and down. In contrast to this, the motion of an atom at such a low temperature is described by a quantum mechanical wave. It can therefore follow the moving lattice by tunneling through the barrier between neighboring lattice sites. Thouless could prove already that in certain situations the motion of the atoms can only occur in a quantized way so that their position changes by an integer multiple of the period of the moving lattice. This is the case if atoms are initially localized on individual double wells, for example. The Munich scientists could realize such a situation in their experiments by taking advantage of the repulsive interaction between the atoms which ensures that there is exactly one atom in every double well. Even though such a state is in principle insulating, i.e. the atoms cannot move, they can be transported through the lattice using the modulation described above. By looking at the atoms with a microscope, the scientists could show for the first time that the motion of the atoms per pump cycle is indeed quantized and occurs in discrete steps due to the tunneling of the atoms. Furthermore they could show that this motion is independent of the specific implementation of the pump cycle, like for example the depth of the potentials. This is due to the topological nature of the transport which makes it particularly robust against external perturbations. In another series of experiments the behaviour of atoms in excited states in the lattice was studied. In this case the researchers could observe the remarkable phenomenon that the atoms in certain states moved in the opposite direction as the motion of the lattice. "This behaviour clearly illustrates the quantum mechanical origin of this transport process since something like this would be unthinkable in a classical system" says Michael Lohse, a PhD student who was involved in the Munich experiments. These measurements demonstrate the importance of topological properties for the behaviour of physical systems in a very clear way and open the route for a variety of further experiments. A pump like this cannot only be used to transport particles, but for example could be modified in such a way that it only transports the so called spin, that is the intrinsic angular momentum of the atoms, while the atoms themselves do not move. Moreover, by extending the pumping scheme to two directions it would be possible to study effects that normally can only occur in four-dimensional systems.